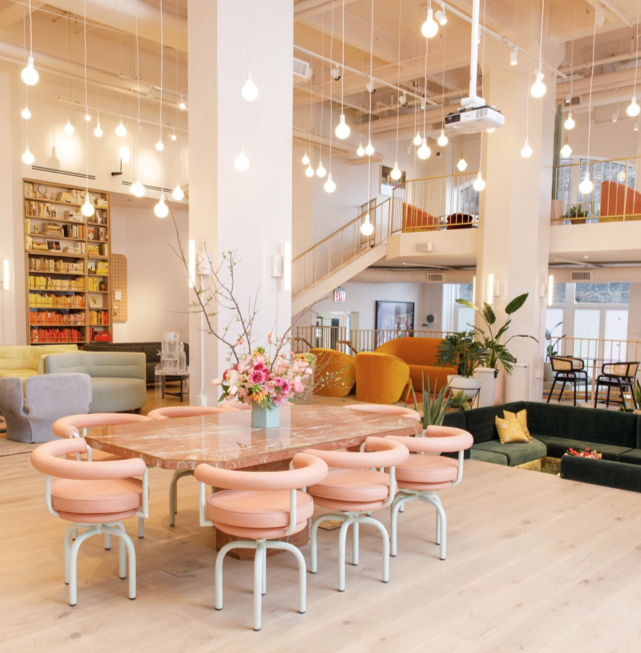 A co-working space for women that’s drawn the ardour of thousands of Instagrammers and the attention of celebs including Jennifer Lawrence and Lena Dunham is set to expand to Canada. 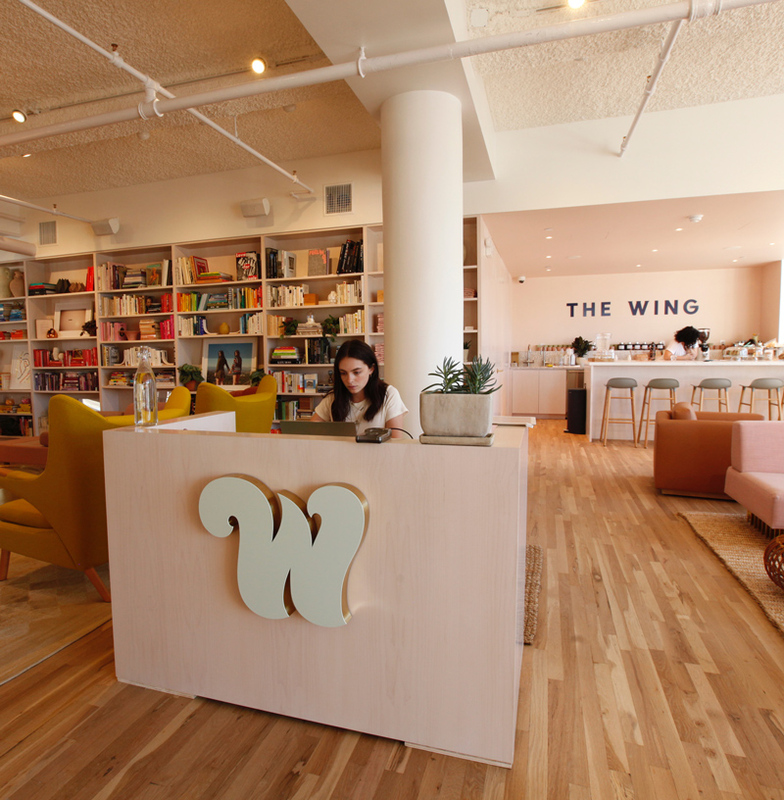 The Wing, a New York-based networking and social club, said Tuesday that Toronto is among the six new locations joining its burgeoning pastel-hued chain. The female-focused company is part of a wave of modern sororities geared to female entrepreneurs, merging a fierce can-do motto with feminist ideals tailor-made for a generation of self-starters. The Wing – Flatiron location in Manhattan. Photo via The WIng. It joins several other Canadian ventures that similarly put career women in their sightlines, including Toronto’s exclusive Verity Club and its luxury spa, the co-working and wellness space Shecosystem with its yoga classes and Madonna dance parties, and the pretty and perky penthouse space Make Lemonade. Other spaces include Montreal’s LORI hub, which stands for Ladies of Real Influence. “It’s important to have the space where we all feel comfortable and that this is ours, that we have ownership as well,” Rachel Kelly, Make Lemonade’s founder and owner, says of her inspiration. “If you start exploring a couple of the co-working spaces you’ll notice there is quite a male-dominated culture in a lot of these spaces and that presence is quite overpowering,” she adds. It was founded by PR exec Audrey Gelman and business partner Lauren Kassan, and was inspired by the women’s social clubs of the early 20th century. It launched in Manhattan’s Flatiron district in October 2016, expanding to SoHo a year later. Then came a third spot in the DUMBO neighbourhood of Brooklyn in February, and a fourth heads to Washington D.C. this spring. The recently opened DUMBO location. Photo via The Wing. All locations are created by an all-female design and architecture team and feature a menu of food, wine and cocktails created by female chefs, sommeliers and mixologists. There are also showers and lactation rooms. The Wing says its first Canadian outpost is slated to open in early 2019, the address yet to be determined. Other new locations include Los Angeles, San Francisco, Seattle, Williamsburg (Brooklyn), and London. There certainly appears to be demand in Canada for such a venture. Twenty-two-year-old entrepreneur Kim Kirton says she joined Make Lemonade after souring on more traditional co-working spaces. “Sometimes I would feel uncomfortable just working, just the way people would kind of look at me,” says Kirton, who too often found professional networking opportunities devolve into social pitches. Kirton doesn’t suggest she’s experienced any misconduct, stressing that her concerns were primarily focused on finding the best place to run her online wardrobe business, UnCo. Since launching last September, Kelly says she’s drawn 80 members in various fields including editing, food, publishing, law, fashion and tech. In addition to workspaces, she offers mentoring, workshops, and mixers. But some question whether women-targeted initiatives are the answer. Sarah Kaplan, director of the Institute for Gender + the Economy at the University of Toronto, worries they push women to the sidelines, instead of levelling the playing field. “I’m not a big fan, personally, of cloistered solutions,” she says. “I’m sure it will satisfy the needs of some people who feel like it’s just a more pleasant or safer or more conducive (place) to the kind of work that they want to do. But is this a huge market opportunity because women are so different from men? No. It’s just because the world of work is so gendered masculine that I think the only solution people can come up with is to cloister and I don’t think that’s the right solution. Initiatives such as implicit-bias training and diversity workshops clearly have not fixed organizational culture, Kaplan adds. “You have to actually change your processes and practices, you have to change how you think about the work, not just for women but also for men,” she says, seeing the need for men to participate equally at home. She also says corporate and full-time positions must be more accommodating to workers _ often women _ who need greater flexibility because of family obligations. Many have left the workforce or opted for “Plan B” ventures that have given rise to spaces like The Wing. “They still want to make money and they still want to participate in the economy but they can’t,” says Kaplan, bemoaning a lack of supports such as onsite daycare and lactation rooms. “Women are plenty confident, it’s just that they’re beaten down,” she says.